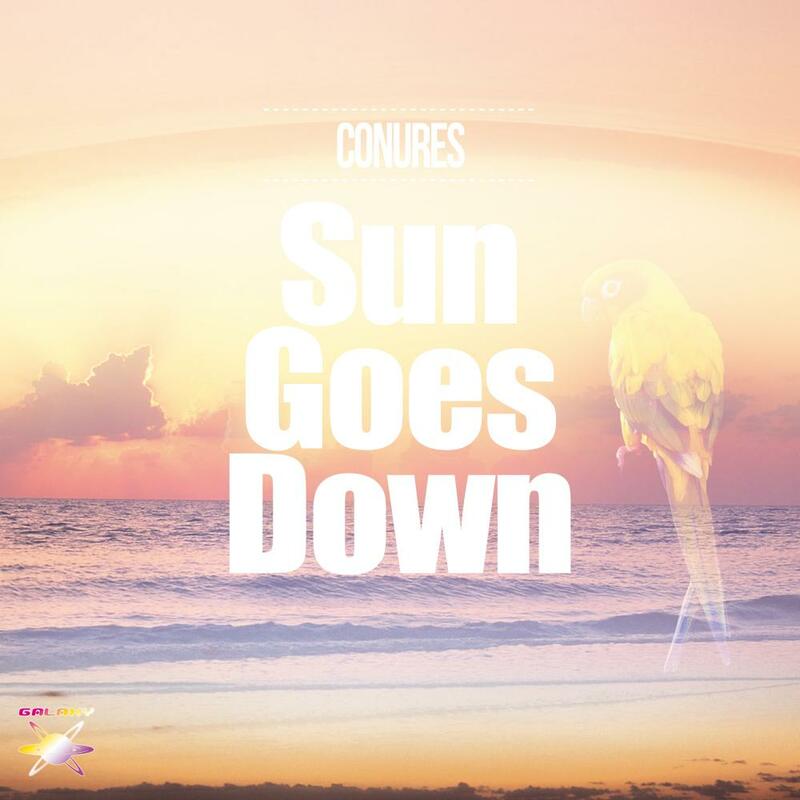 The 68th release of GALAXY RECZ is 「Sun Goes Down」 by Nobuyuki Tokunaga, a.k.a. Conures!! releasing numerous tracks under labels GALAXY RECZ. One of his tracks ‘Solid’ (GALAXY RECZ) was ranked at No. 5 on Hernan Cattaneo’s monthly chart. Hernan went on to invite and include the Solid Remix in his English club night “Renaissance” 20 year anniversary compilation album. On the back of this success the artist formerly known as Tokunaga took the opportunity to change his name to ‘Conures‘. 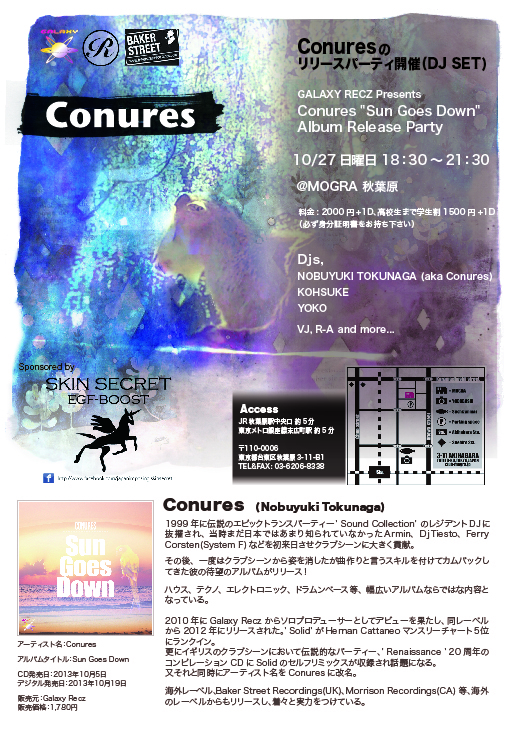 This release is the first album of Conures. It is same, first CD release also as GALAXY RECZ!! Great package! Chill out stuff is good for me. Thanks! Really liking the classy Drum & Bass tunes. The whole package contains great examples of quality electronic music. I enjoy it a lot, thank you very much. Nice tracks, i especially like Conures – Dancer (Original Mix)! I like “Conures – Dancer (Original Mix)” will play at lounge ! nice Album !!!! A Day (Original Mix) for me.